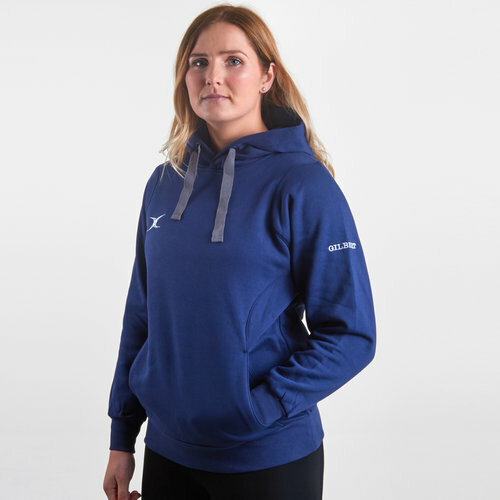 Stay warm and comfortable in this Gilbert Vapour Ladies Hooded Sweat in Navy. This hoody is the ideal item to wear during training, post game or watching a match. This garment will keep you warm and comfortable whilst staying stylish. It is made from soft cotton feel fabric to combat the chill whilst the kangaroo pouch pocket with jersey lining is also good to keep your hands out of that chill and even better for storing valuables.